Cloud Giants, as I recall, are pretty badass. 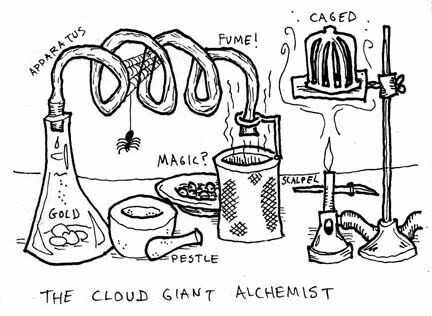 Cloud Giant Alchemists like to test their theories on people. It's kind of like testing cosmetics on rabbits. 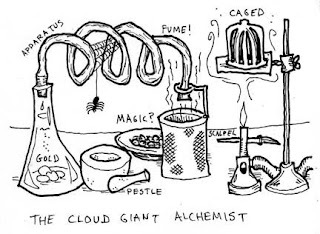 So becoming a Cloud Giant alchemist's prisoner might not be a great move. On the other hand, alchemists are all about converting lead into gold, which might mean there's some free gold lying around, right?